Home / Brands / Baby Jack & Co. 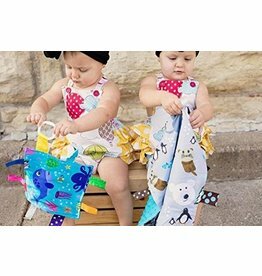 Popularity Newest products Lowest price Highest price Name ascending Name descending All brands Baby Jack & Co.
Great to travel with, clip to stroller, baby carrier or diaper bag. A crinkle sensory square for little ones to enjoy.